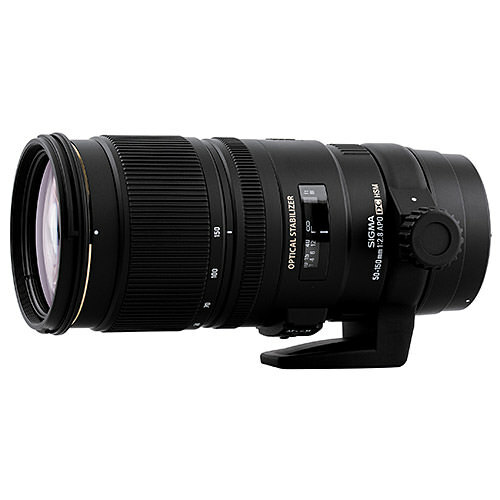 Lens Description: Sigma’s proprietary OS (Optical Stabilizer) system offers the use of shutter speeds approximately 4 stops slower than would otherwise be possible, enabling hand held tele-photography. Six SLD glass elements compensate for chromatic aberrations and provide high image quality throughout the zoom range. The Super Multi-Layer Coating reduces flare and ghosting and ensures sharp and high contrast images even at the maximum apertures. The lens design adopts an inner focusing and inner zooming system to provide convenient handling and the HSM (Hyper Sonic Motor) ensures quiet and high speed autofocus while allowing full-time manual focus override. This lens has a minimum focusing distance of 80cm (31.5”) and a maximum magnification ratio of 1:6.3. The rounded 9 blade diaphragm creates an attractive blur to the out of focus areas of the image.